Meet the Rotimatic. This sleek, clean, funky machine – just about the size of a bread-maker – churns out rotis at the rate of one per minute. Speaking as someone versed in the art of roti-making, that is quite a feat. As a person of North Indian descent, I grew up eating rotis for dinner. This simple flat bread is a central part of most North Indian cuisines, and is made by kneading a soft dough out of whole wheat flour and water. This is rolled out into a flat round, and then cooked over a stovetop flame. I started learning how to make rotis when I was still in high school, as my mother thought it was important that I learn how to make them…and so that I could help out in the kitchen. In the founder’s message that follows the chic ad for her machine, Pranoti Nagarkar, the founder of the Rotimatic, tells us that Indian women have been making rotis by hand for centuries. In the cosmopolitan kitchen featured in the Zimplistic advertisement, such a notion seems outdated. The ‘tradition’ of roti-making by hand does not gel with the ‘modernity’ embodied by the women Nagarkar speaks to in her message: women who work in offices and have no time for the ‘tedium’ of roti-making, but still feel obliged to do so – and who want to do so – as Nagarkar is careful to say. These women, Nagarkar insists, should not be required to do so the old-fashioned way. And now, it seems, we have the Rotimatic. Though I was taught how to make rotis, my brother was not. As in most places, cooking is gendered activity – but roti-making is particularly gendered. My father is capable of making rotis, but this is largely because when he first came to Canada, he had no other choice than to make them himself. Interestingly, the visual component of the Rotimatic advertisement features a man as the machine’s operator. By placing a man as the maker of rotis in this advertisement, the subtext of the video declares that technology can transform roti making. No longer does it need to be ‘women’s work.’ These are not words, however, that Nagarkar uses herself. Indeed, the message remains one directed at women as ‘home-makers’ first, and individuals with agency second. The result is a verbal message that promotes the Rotimatic as a device that can liberate women from the their obligatory duties, but without shirking them. This is made abundantly clear in Nagarkar’s message. 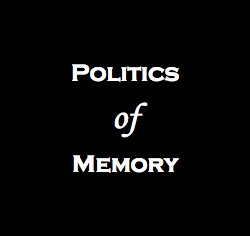 And while health and lifestyle have their place in the Rotimatic advertising scheme (as signifiers of wealth and class), more powerful is the role that memory plays. ‘With a demanding job,’ Nagarkar says, ‘I often found that I did not have the energy to make them [rotis]. And that’s when I really missed my mom’s garam garam ghar ki roti [hot-hot home-made rotis].’ Nagarkar evokes the relationship between mother and daughter, embodied through the making and sharing of food. But what makes her memory so powerful and so relatable to her audience is that this relationship is one of displacement. This June the Rotimatic will become available in the United States and Singapore. The Rotimatic will eventually become available in India, but for now its target audience is clearly situated in the South Asian diaspora. Diasporic dislocation is not the only kind of displacement that the Rotimatic engages with, however. This nifty machine is also positioned to attempt to bridge another gap: that of ‘tradition’ and ‘modernity;’ mom’s ghar ki roti, and her cosmopolitan daughter’s Rotimatic rotis. Of course, the issue is far more complex than this simple binary. Indeed, it is an ongoing and evolving discourse, and one that has arguably characterised Indian society for well over a century. The kitchen has long been a prime site for these negotiations, with all the rich ambiguities and ironies they entail. The Rotimatic is, in many ways, simply the most recent manifestation of these. What is perhaps most significant about the machine, however, is the way in which its manufacturers look to the South Asian diaspora to consume this hybrid product of ‘tradition’ and ‘modernity.’ More specifically, the South Asian woman. Let us not forget, however, who this woman is: she is caste, wealthy, and cosmopolitan. The memories imagined by the Rotimatic play to a very specific, elite audience. Memory is always gendered and classed. Women have long represented ‘tradition’ in discourses on South Asia, but this is equally true for discourses originating from the subcontinent itself. In the latter case, women are often cast to embody the stability of ‘tradition,’ juxtaposed with the dangers of unbridled ‘modernity,’ gendered as male. Another popular trope, particularly from the mid twentieth century onwards, featured the modernised woman, who was always on the path to ruination. Abandoning the gendered norm of ‘tradition’ is a dangerous game. Contextualised within these tropes, we have the Rotimatic, which allows the modern Indian woman – diasporic or otherwise – to safely navigate ‘tradition’ and the ‘progressive modern world.’ Where the Rotimatic is leading the South Asian woman and her kitchen, however, remains to be seen. I am a faculty member at Srishti Institute of Art, Design and Technology, based out of the Center for Public History. I recently co-directed a performance-based event, Staging Our Histories, that explored the expression of history off the page. I hold a degree in Public History from Carleton University. My Research Project, which was funded by the Social Sciences and Humanities Research Council of Canada, explored the post-colonial history of the South Asian middle class in hill stations.